Search Engine Optimization (SEO) is a powerful tool for the success of any website. The best SEO specialists are hard to find but if you get the right expert for your website then you can improve the organic presence of the site in a quick time. In this post, check out the important five tips to find the best SEO experts. SEO specialists should know all the latest and white SEO techniques to boost the traffic of the site. These techniques include mobile optimization, schema mark up implementations, high quality and dense content. He should know how to perform the keyword research keeping in mind the Rank Brain Algorithm. Keyword research is not limited to the main keyword or phrases but should be based on the intent of users. Outdated SEO practices hurt your search engine optimization efforts so ask SEO experts about the techniques they follow. Don’t hire them if they follow the black hat SEO techniques including link farm, link wheel, not aware of linking the anchor texts. They should be expert in finding the topic targeting keywords rather than targeting the search terms or phrases only. In fact, they should be able to find the long tail keywords which are one of the important effective SEO techniques. Anyone can claim the first page rankings so checking the experience in SEO is crucial. An experienced person only knows the in and outs of SEO and strategies to improve the visibility of web pages in search engines. He also knows the latest techniques to rank the web pages for the set of keywords and drive massive organic traffic and conversions to the site. You can also ask him questions and see his willingness to answer all. If he isn’t able to provide the information then he is hiding something about his techniques. Ask the process to SEO experts before hiring them to have an idea about their working and techniques they will follow. You can ask the week by week plan of action to be performed to boost the performance of the site. In fact, you can ask them to submit the weekly and monthly reports. Reports will help you to know all the tasks done on the site. This will be helpful for you to know all the implementations on the site along with progress report. It’s always good to check the past projects to see the level of improvements SEO experts can bring to your project. Ask them to share their latest portfolio. This will also give you an idea if they will be able to deliver you what they are promising. When they share the project details then you should visit the site and social profiles. You should check the work they have contributed to the site. This will help you to know the success they can bring to your business. 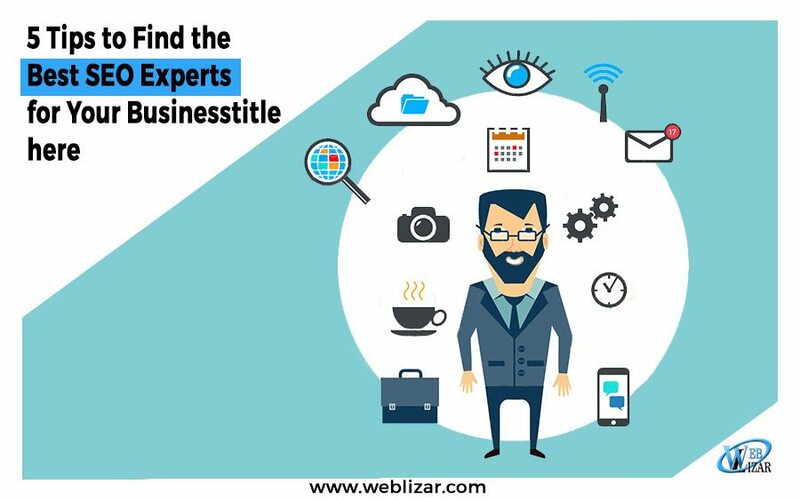 Follow the above-mentioned tips and find the best expert for your business to establish the online presence and growth for your business.